The 6th of september, Pophunters Film & TV received the award for Corporate Film of the Year 2018. The award was received during a banquet at Örebro Concert Hall in Sweden. 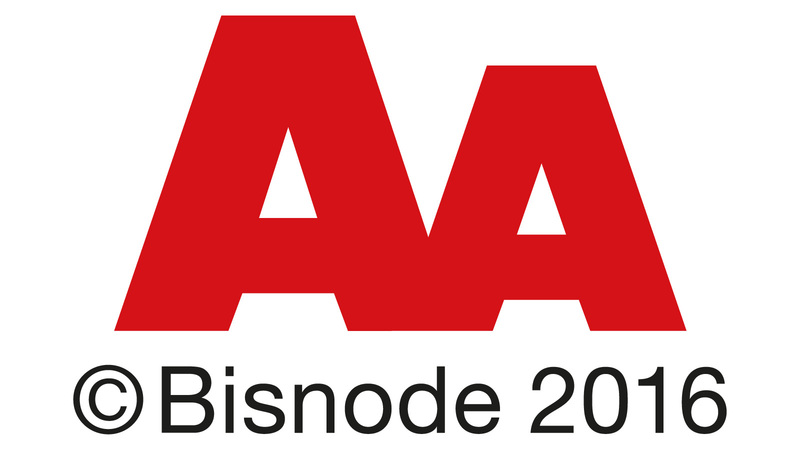 The award is organized by the Swedish Media Festival. The film that was awarded with the Grand Award was “I Think I Have A Crush On You”, a short film about Grooming. 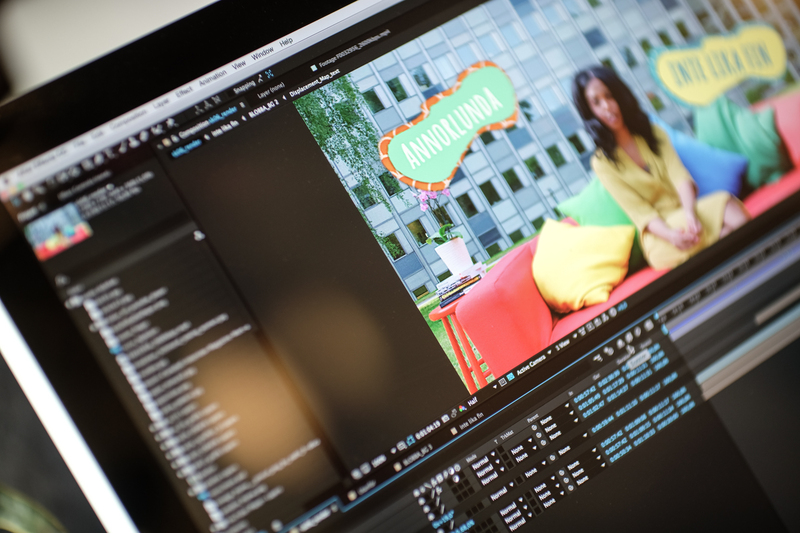 The film is produced for the Foundation Aktiv Skola, and is being distributed free of charge together with a teacher’s guide to all swedish schools. The film, with a running time of 9 minutes, shortly after launch spread virally on YouTube, where it currently has over 890.000 views amongst a young audience. The same film was also awarded Best Directing, Best Cinematography, Best Educational film as well as a nomination for Best Target Group Adaption. Other films by Pophunters that received awards were the films for Uppsala (Best Tourism Film) and the film Ahmed & Marcus (Silver in Educational Films). Above: All awards received for the winning film. 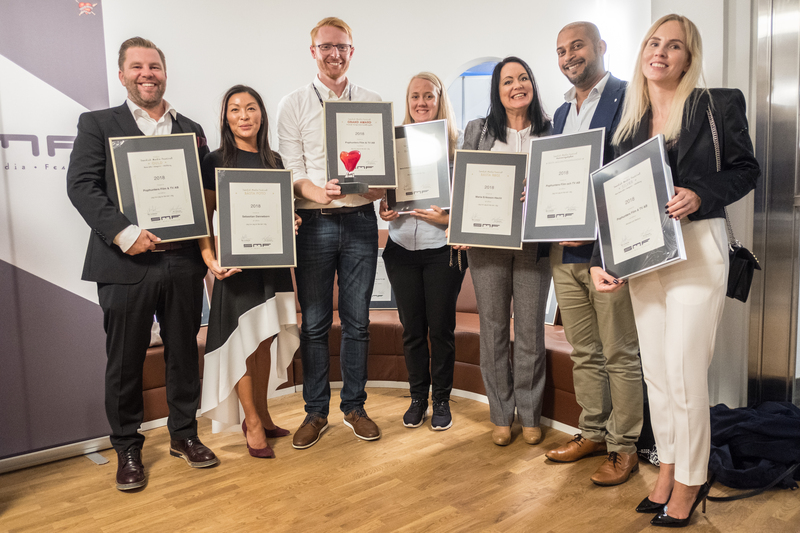 From the left: Niklas Falk (CEO Aktiv Skola), Petra Falk (HR Manager Aktiv Skola), Petter Schanche (CEO Pophunters), Maria Beigrund (Pophunters), Anna Jarstig (Aktiv Skola), Simon Johansson (Aktiv Skola), Josefin Varg (Aktiv Skola). 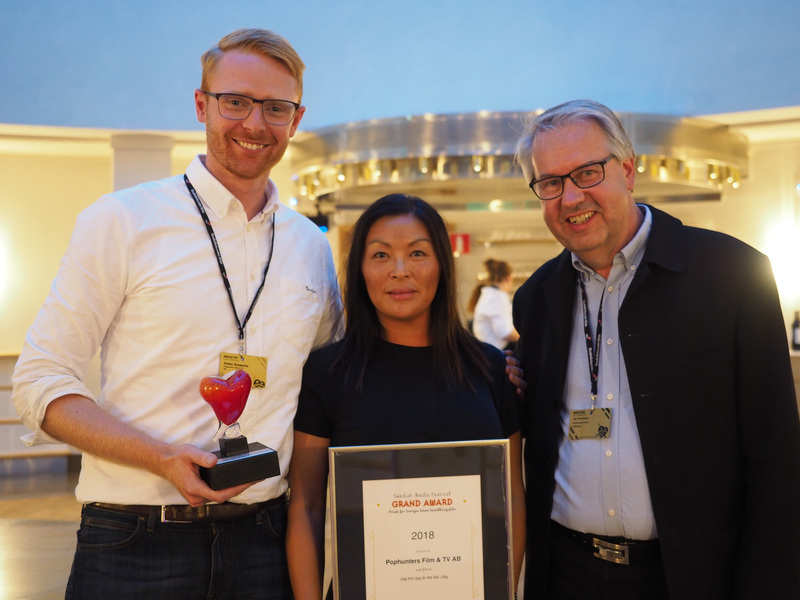 Top image from the left: Petter Schanche, CEO Pophunters Film & TV – Petra Falk, HR Manager Aktiv Skola – Jan Svensson, chairman of the jury. Our film “I think I have a crush on you” has been awarded a GRAND AWARD at World Media Festival in Hamburg, Germany. A Grand Award means that the jury has found the film to be the best of all Educational films submitted this year. The World Media Festival is an international media festival – the only festival of it’s kind in Europe – receiving entries from all around the globe. The film, that we’ve produced for the foundation Aktiv Skola (Active Schools), depicts Nadja, a young girl being exposed to Grooming (sexual harassment and abuse) on the web. The film is distributed for free to all Swedish schools, together with a teacher’s guide with the purpose of preventing Grooming. The film is directed by Maria Eriksson-Hecht, script written by Maria Eriksson-Hecht and Pelle Rådström. Three films produced by Pophunters have won awards at this year’s World Media Festival in Hamburg. 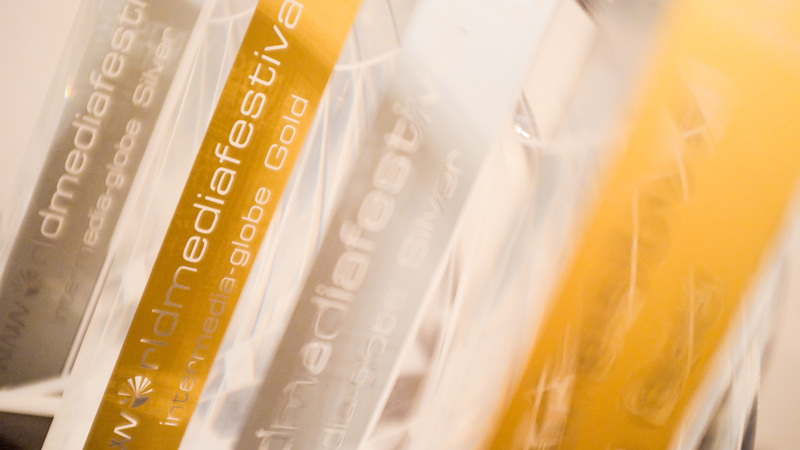 The WorldMediaFestival is a global competition for communications media. It is the forum for leading communications professionals from around the world and also the only forum of its kind in Europe. An educational film about Grooming for the Foundation Active Schools. Just recently, this film went viral among Swedish teenagers, reaching 400K views and thousands of comments on Youtube within a few days. An educational film about bullying for the Foundation Active Schools. A film showcasing features and benefits of the Ascom Telligence System. The awards are formally presented at a gala dinner in Hamburg at May 16th. Winning a gold award, the film “I Think I Have A Crush On You” is also nominated for a GRAND AWARD and the GRAND PRIX-AWARD. The winner will also be announced at May 16th. Our film “I think I have a crush on you” has been selected to compete in the category “Best Youth Film” at the Clermont-Ferrand International Short Film Festival in France. The festival is the world’s largest short film festival, attracts over 160.000 visitors every year. The festival takes place 2-10th of February 2018. The film is directed by Maria Eriksson-Hecht. Our film “About Sally”, produced for the Swedish Childhood Cancer Foundations, has been nominated to the Swedish Publishing Awards. The winner will be announced at a gala in Stockholm november 14th. 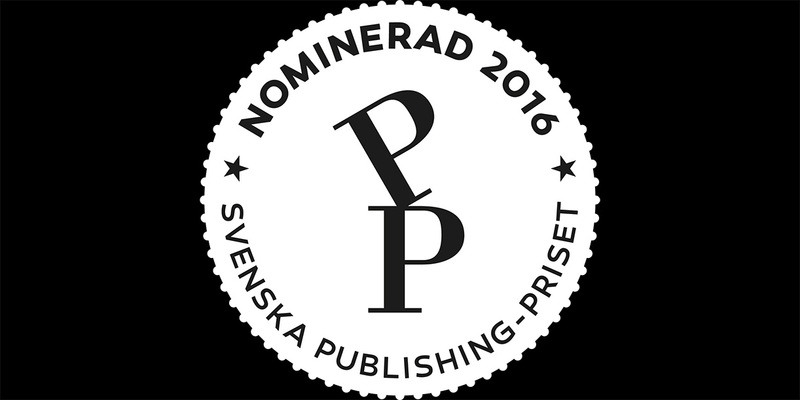 The Swedish Publishing Award, which is an organization completely independent from other industry organizations, is a comprehensive communications competition. It involves most of the established forms of communication. 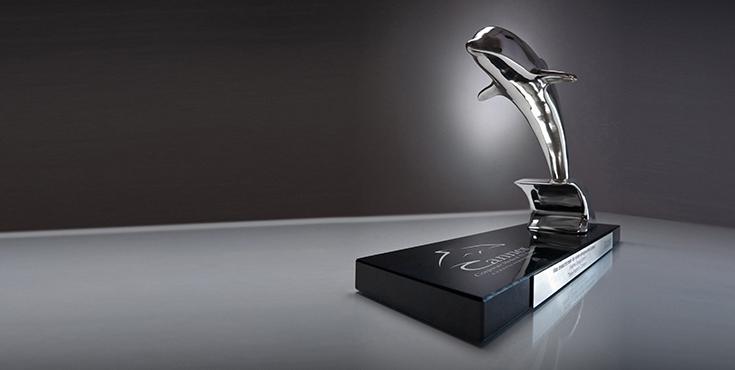 The jury judges all aspects of the entry – not just individual aspects such as design i.e. For a message to reach through, so much more is needed. That’s why the jury also look at textual content, visual content and – depending on the type of entry – direction (film), physical execution (print) and utility (websites). Our film is one of the six finalists in the category: Inspirational films, long. The film was just recently announced to be one of the winners at Cannes Corporate Media & TV Award. It has won the Special Hand-in-hand Award at World Media Festival, as well as several other awards from international film festivals such as US. Internationa Film & Video Festival, Telly Awards, Communicator Awards and World Media Festival. Our film “About Sally” for the Swedish Childhood Cancer Foundation will be screened in Tokyo in November. This annual event organised by the Japan Association of Audiovisual Producers is an international showcase for Best of Corporate Film from around the world. The film has received international attention after winning awards from World Media Festival, Telly Awards, US. International Film & Video Festival and Creativity Awards. We’re honoured and very thankful to Barncancerfonden, Sally and her family and friends for letting us tell your story and bringing their important message to audiences all over the world. At this year’s World Media Festival Gala in Hamburg, Germany, Pophunters was awarded the Special Award: Hand in Hand for our film “About Sally” for the Swedish Childhood cancer foundation. We at Pophunters are very proud and glad on behalf our client, as well as Sally and her family – whose story apparently continues to touch people all around the world.